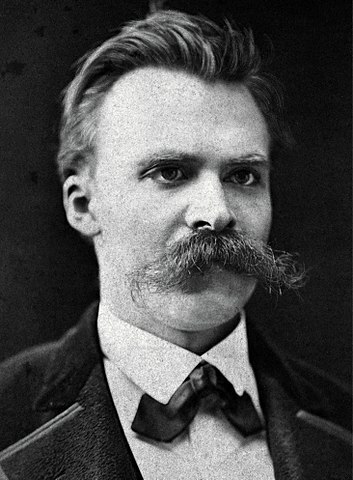 Nietzsche’s analysis of the history of western civilization led him to the conclusion that the highest values in religion, morals and philosophy had lost their power; hence his famous, and misunderstood, dictum “God is dead.” Nietzsche perceived that as these antiquated values were stripped away, the “will to power” would emerge as the natural force behind the development of the mind, the individual and society. His most famous work is Thus Spake Zarathustra (1882-85), which he described as having been written in a trance state. His other major works include The Birth of Tragedy from the Spirit of Music (1872, written at Wagner’s instigation), Thoughts out of Season (1873-76), Human, All-too-human (1878), Aurora, or the Dawn of Day (1881), Joyful Wisdom (1882-86), Beyond Good and Evil (1886), The Genealogy of Morals (1887), The Antichrist (1888), Ecce Homo (1888), and Twilight of the Idols (1889).